Stover Creek begins its journey near Ferry Rd. in central Marion Township. From there, it flows through beautiful lowlands forested with cedars and firs, sometimes passing by tall sandy hills. About three miles later, the Creek begins to see the impacts of development around the City of Charlevoix. The trees disappear and the Creek flows through the Front 9 of the Belvedere Golf Course, creating a hazard for many a frustrated golfer. Next, the Creek flows through a short forested section before flowing under Marion Center Rd. and entering Charlevoix’s large Brookside Cemetery. Here, it passes through one Volunteer Stream Monitoring site which yields high quality scores for the stream. On the downstream side of the cemetery, just before M-66, there used to be an area with erosion problems before the streambanks were stabilized in the mid 2000’s. Biological monitoring is performed by volunteers in Stover Creek each spring and fall as part of the Watershed Council’s Volunteer Stream Monitoring (VSM) Program. Ways to restore Stover Creek in its lower sections are being explored by the Watershed Council, Irish Boat Shop, and the Lake Charlevoix Watershed Management Plan Advisory Committee. 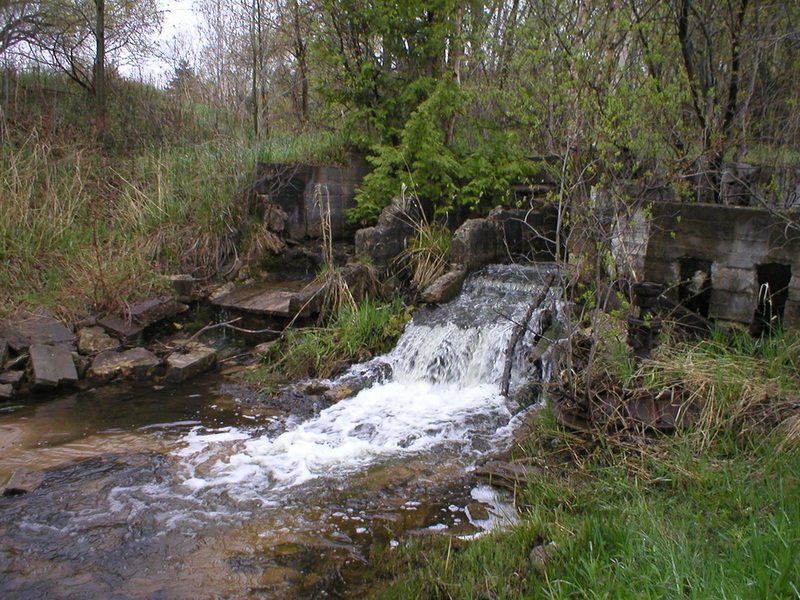 Information about Threatened, Endangered, and Special Concern species in this stream’s watershed is available on the Michigan Natural Features Inventory (MNFI) website. Data from Michigan Department of Natural Resources (DNR) and Department of Environmental Quality (DEQ) surveys of this stream can be accessed online in the Michigan Surface Water Information Management System (MiSWIMS). Discharge data for this stream is available online through the Michigan Department of Environmental Quality’s Low Flow Discharge Data Base. USGS Current Water Data for Michigan provides stream flow conditions. A wide variety of maps, including Vegetation circa 1800, National Wetlands Inventory, Land Cover Change 1800’s to 1978, Wetland Change 1800’s to 1980, and many other resources for this area are available online in the Michigan Natural Features Inventory (MNFI) Data Resources page. Learn about safely eating fish from this river in the Michigan Fish Consumption Advisory.